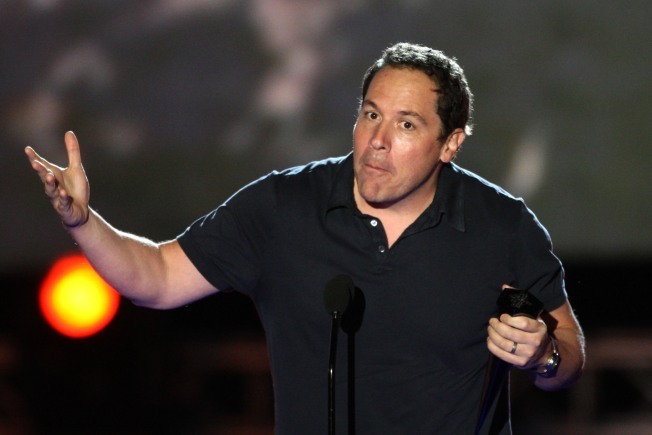 Jon Favreau "Will Not Be Available" To Direct "Avengers"
"The Avengers" movie will have to assemble without Jon Favreau. The "Iron Man" and "Iron Man 2" director, who had been rumored to take the helm for the Marvel super-team's big screen 2012 debut, "will not be available" for the job, he told MTV News. "They'll have to [find a different director]," he said, explaining that he'd still be involved. "It's something I'm being the executive producer on, so I'll definitely have input and a say." The film will be preceded by three other Marvel movies – "Iron Man 2," "Captain America" and "Thor," all of which will set the stage for the super-team. "We want to reinforce a lot of the stuff we started to tip off," Jon said. "'The Avengers' is a much larger concern for Marvel and Kevin Feige, who runs Marvel. They're going to be doing 'Thor' and 'Captain America,' and the way we might start to tease those things in ['Iron Man 2'], some of it is stuff that we've discussed [and] some of the stuff you do last-minute as you figure out how that stuff is coming together." He's hoping the details will stay top-secret – though as he discovered with "Iron Man" and its secret Nick Fury (Samuel L. Jackson) cameo, it's difficult to keep things off the Internet for long. "It's an evolving, amorphous thing. If we decide and commit too early, the secret always gets out," he said. ""As soon as we shot the Nick Fury thing — we had a closed set and nobody was supposed to know about it — week later somehow it was all over the internet. It's a little bit of a cat-and-mouse game." "Iron Man 2" is due in theaters on May 7, 2010.